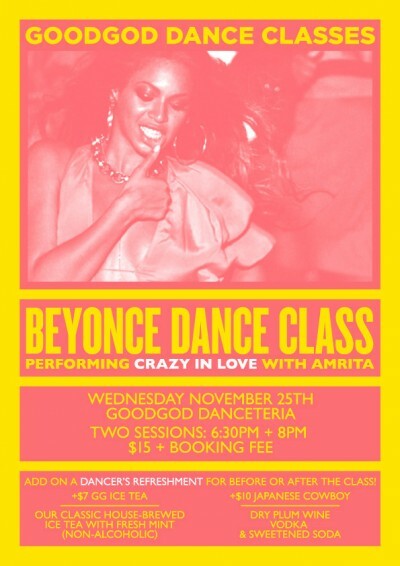 BEYONCE DANCE CLASS IS BACK !! After a massive series of sold out classes in 2015 Goodgod’s resident booty shaker, choreographer and and semi-crazy instructor extraordinaire, Amrita, will be taking you through body roll by body roll one of her favourites – Crazy in love! Hux: Hi, welcome to the disco! Brudo: A lot of People will probably be familiar with this from the MCDE boiler room. The song is pretty long and I never find myself listening to it all the way through. Though, if you start it up towards the end, just pass the 8th minute… it’s kinda like there’s this new fun concise version where the vocals come in before anything else. 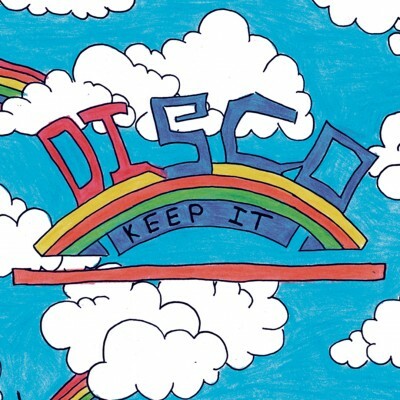 Importantly this came out on Salsoul Records, which is what we’ve appropriated or “nicked” (however you may feel about it : ) for the Keep it DISCO graphics. Hux: Found this gem in a choreographed dance scene with a mad man and a robot in the movie Ex Machina. People really seem to get down to it. Brudo: Either Mike who or Preacha played this last Saturday at the 3rd birthday of The House of Who, and just as it always does, it went off, it’s an anthem! Hux: This song is all about making it. Enough said. Brudo:This ones a bit more contemporary, don’t think it’s out yet but there’s this on soundcloud. I have’t listen to much of Dego as his career span is crazy, but his more recent releases with Kaidi have always been great. Sound Clash is no joke. Dating back as far as the 1950s, selectors and their sound systems would meet up to battle it out. Sometimes these clashes would turn violent with one system destroying the other’s equipment. Nowadays a lot of clashes are ‘Dub fi dub’ meaning you can only play an exclusive song with your name in it. This is now a huge industry where selectors will pay artists to record versions of their popular songs with the selectors name in it. If you’ve been to a Major Lazer show you may have noticed they have crazy dubs. Everybody from Toots & The Maytals to Madonna. This Saturday Dutty Dancing will be holding it’s first Sound Clash. Three of Sydney’s heavyweights will be going head to head. Egos will be put on the line. Feelings hurt. Our turntable gladiators reveal their secret power plays. This is a weapon. House production meets Soca and Dancehall. Destra Garcia a true O.G. of bacchanal on the vocals. In 2015 I feel like the Trini’s may have the upper hand on Jamaica. A tune that ruled Carnival this year, it was the first hit for production group Advokit. These young producers were so determined to get the Nigerian superstar Olatunji on this song that they hunted him down at a photoshoot, lured him to their car, and played him the song. Your vocals or your life. One of the current top French reggae artists brings us a massive sound boy / bashment anthem with a futuristic twist (laisse brûler = let it burn). When a little fassy sound boy claims that they run the dance, that’s the tune you play! Large one from 2014 from the always on point Ward 21 camp, strong 90’s throwback vibes on this tune with genius use of the wild apache’s unmistakable chats from Under Pressure. This has been a staple in my sets since it dropped. Iv’e been back and forth between Sydney and South America over the last 10+ years and this was one of my first introductions to the power of the Dem Bow, a loop now synonymous with reggaeton, The Panamanians channeling Shabba obviously made a mark on all of latin america as there was no way you could escape this loop. It was in this part of the world I went to my first proper dancehall parties and of course these early introductions that opened the floodgates to a discovering a whole new world of Caribbean music. Mini Mansions will taking a breather from there tour supporting Tame Impala to play the Danceteria this Thursday night. Tickets still available. Here’s a all the video clips from their latest for you to indulge in ahead of their show. ♫ WATCH: Mini Mansions – Freakout!